While a lot of time is spent focussed on horses that can’t eat grain in their diet, cereal grains such as oats, barley, triticale, corn, rice, rye, sorghum and wheat form a valuable component of many horse’s rations. Selecting the most digestible grain based feed however can be confusing, with uncooked grains like whole, cracked and crushed grains being available as well as cooked grains like extruded, micronised, steam rolled or steam flaked and pelleted grains. The question is, which form is best for your horse, the cooked or uncooked grains? 0.0.0.3 How does this packaging stop starch digestion? 0.0.0.6 What about cracked grains? 0.0.0.7 Does soaking grains help? 0.0.0.8 What happens if cereal grains are fed without being cooked? Grains are fed primarily as a source of energy in a horse’s diet and that energy is derived mainly from the white starch found in the centre of the grain. For the horse to obtain the energy from the starch it must be digested by enzymes in the small intestine. But digesting the starch to extract the energy is not easy for the horse because it is “packaged” within the grain in a way that makes it difficult for the horse to get to. The reason grains are cooked is to make access to the starch a lot easier for the horse. Starch is simply many glucose molecules all bonded together and bundled up into starch granules. These starch granules are then embedded amongst protein in a structure known as the protein matrix (Figure 1). Figure 1: A scanning electron micrograph of the middle of a barley grain showing the starch granules embedded within the protein matrix. The starch granules are the large round objects. The starch granules, embedded in the protein, are then encased within individual endospermcells and protected by a cell wall. Many of these cells are packed tightly within the grainsstarchy endosperm (the white bit found in the middle of a grain). And the endosperm itself is protected by the aleurone layer and finally the entire structure is covered by the seed coat (Figure 2). Now from the plant’s perspective, all of this packaging is absolutely critical for its survival and is designed to protect the plant embryo and its stored sources of energy and protein to ensure it will be able to grow and survive for the first few days following germination. Figure 2: The location of starch granules (stained black) within the endosperm cells of barley grain surrounded by the protein matrix (stained green) and protected by the aleurone layer and seed coat. So, the packaging is clever and essential from the plant’s perspective, however for the horse, all of this packaging is just a nuisance and prevents the horse from being able to digest and extract the energy from the grain. In fact, this packaging was actually specifically designed to allow a grain to pass through the gastrointestinal tract of an animal undamaged so it may germinate when it is excreted in the manure. How does this packaging stop starch digestion? The packaging can be likened to a security system at a casino which prevents the thieves (or in this case the enzymes) from stealing the cash (the starch). To digest the starch the enzymes in the horse’s small intestine must first breech the seed coat, then penetrate the aleurone layer. Following this they need to be able to make their way through the endosperm cell walls (these are the cells that contain the starch), then burrow through the sometimes impenetrable vault of the protein matrix before finally reaching the starch granule. Then, in a cruel twist of fate, if the enzyme reaches this far, it will find that the starch is bundled so tightly into a ball that the enzymes cannot digest it. So the horse is presented with a difficult hurdle—just how does it go about extracting the energy held in the starch of cereal grains? It has been recognised for many years now that to effectively digest cereal grains, horses need some help. And that help comes in the form of ‘cooking’. Cooking grains using processes like extrusion, micronising and steam flaking breaks down the barriers the enzymes have to face in reaching and digesting cereal grain starch. When grains are cooked using a combination of heat, moisture, pressure and some form of physical process like rolling or grinding, the entire structure of the grain is disrupted. To start, the seed coat and aleurone layer are broken and the endosperm cell walls are opened up. In addition, the structure of the protein matrix is physically disrupted so it is no longer able to protect the starch granules. Cooking also turns the ordered and tightly packed structure of the starch granule into an open and vulnerable structure which can be easily attacked by enzymes in a process known as gelatinisation. Cooking simply gives the horse’s enzymes access to the grain starch so they can go about their work of cutting up the starch into single glucose molecules, which the horse then absorbs from the small intestine into the body, where it is used for energy. Simply cracking, crushing or grinding grains is the same process as chewing and aims only to change the physical structure of the grain, breaking the seed coat and reducing the grains particle size to give the enzymes better access to the starch within the centre of the grain. While the seed coat and aleurone layer barriers are removed, physical processing only causes minor damage to the endosperm cell walls and leaves a majority of the protein matrix and starch granule structure intact, meaning only small improvements to starch digestion will be made. Work conducted in horses showed that cracking corn only improved its digestibility in the small intestine of the horse by 1%. So while physical processing can get an enzyme through the front doors of the casino, gives them access to some of the cash floating around at the tables, and maybe even gets them into the strong room, it leaves the enzymes without a key, security code or set of explosives to get it into the vault. In short, they aren’t much better than whole grains. Soaking grains simply makes them much easier to chew, so soaking will help the horse to break the seed coat and aleurone layer barriers. However soaking does nothing to disrupt the endosperm cell wall, protein matrix or starch granule structure, so, like cracking grains, soaking does not help to improve starch digestion. 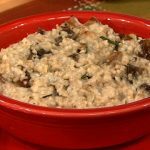 What happens if cereal grains are fed without being cooked? Starch from grains fed whole or cracked will remain largely undigested as it passes through the small intestine and will eventually be delivered to the hindgut. This is where the trouble begins. The bacteria in the hindgut do not face the same barriers as the enzymes in the small intestine, and they are able to reach and rapidly ferment the starch contained in uncooked grains. This rapid fermentation of starch causes excessive production of acids, which accumulate in the hindgut and lower the hindgut pH (the hindgut contents become acidic). Low pH in the horse’s hindgut causes a multitude of diseases and behavioural disturbances including laminitis, colic, endotoxaemia, systemic acidosis, reduced fibre fermentation, poorappetite, wood chewing and the eating of bedding as well as deficiencies in the B-group vitamins (including biotin) and vitamin K.
The general consensus is that oats can be fed unprocessed. As it is a larger grain, horses are capable of chewing the grain enough to break its seed coat, removing the need for physical processing. Studies have also found that oat starch is far easier to digest than corn or barley starch in an uncooked form. 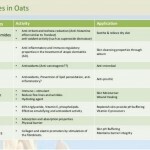 So oats can be fed whole and uncooked. However, whether oats can be fed unprocessed needs to be decided on a horse by horse basis. Observe your horse’s manure closely when you are feeding him oats. If you observe whole oat grains in his manure, whole oats is not a suitable feed for this horse. It is important to make sure the oats you are observing in the manure are whole and not just undigested hulls. Do this by taking them from the manure and squeezing them. If they are whole you will observe the white starch oozing from the centre. If you want to feed oats specifically, but your horse doesn’t digest them well, cracked, steam rolled and micronised oats can be purchased. Don’t feed cereal grains unless they have been cooked, with the exception of oats for some horses. If you feed whole, uncooked cereal grains, your horse will get little benefit from them and they have a good chance of causing disease and behavioural problems. Remember, the reason you feed cereal grains is to provide your horse with a source of energy. Most of this energy is held within the grains starch. If the horse can’t digest this starch, then you are better off not feeding the grain at all. Oat grain, which has a small starch molecule, is highly digestible in the horse’s small intestine by the enzyme amylase thus making oats the safest grain to feed to horses in its natural form (85% starch digestion in the small intestine – Meyer 1995). The same, however, cannot be said for other cereal grains such as maize, barley or wheat, which, in terms of energy content, equal or exceed that of oats and are therefore highly desirable cereals for use in high energy horse feeds. These grains have large starch molecules which are not easily digested by amylase in the small intestine. This means that one of the goals of feeding high starch (energy) diets to horses lie in maximising the grains digestibility in the small intestine. This is achieved by opening up the starch molecules within the grains and breaking them up into smaller components in a modified structure, making them more accessible to enzymatic absorption. Starch molecules found in cereal grains are complex polysaccharides located in granules embedded in a protein matrix and linked within the granules by hydrogen bonds into a crystalline structure. It is the disruption of these granules that leads to improved enzymatic digestion. Failure to understand the anatomy of the gastro-intestinal tract and the digestive physiology of the horse is more often than not the source of many feeding errors including nutritional management and feed formulation. As most of the goodness in these raw cereal grains is stored in this inaccessible starch structure these must first be processed to make it digestible and beneficial to the horse. Various methods have been used to try and achieve the above objective such as cracking, crimping, grinding, milling, steam heating, flaking and extruding with more or less success and more recently micronizing with great success. The problem with some of these processes is that while digestibility in the small intestine is increased to varying degrees, it is often done at the expense of other nutritional factors such as protein & vitamin absorption. Micronizing on the other hand not only increases the digestibility of cereal grains substantially, but does so without compromising the nutritional integrity of these feeds. The aim of feed processing is to change the physical and/or chemical form of the raw cereal starch structure resulting in greater feed availability. Micronization is a patented and advanced processing technique which uses the infrared wavelength as a source of energy. The micronizing process makes use of a narrow band within the infrared spectrum with a wavelength of between 1.7 and 3.4 micronization. (Please note that this is not microwave energy so the process is entirely safe). Travelling at the speed of light, infrared energy is extremely efficient at generating heat in absorbent materials by causing the constituent molecules of the material to vibrate at very high frequencies (80 to 170 million megacycles per second) which causes rapid internal heating and a rise in water vapour. Micronizing is a highly reliable, consistent and short time high temperature process which uses humidity, heat and mechanical pressure (shearing) to achieve the conditions essential for optimum cooking and starch gelatinisation with minimum loss of water. Pre-cleaned cereals are soaked until they reach 18-20% moisture content. Starch which is insoluble in water can absorb relatively large amounts of liquid. This causes the starch granules to swell prior to treatment. This process is reversible in the absence of adequate heat. The preconditioned cereals are cooked with infrared radiant energy for a short period of time (50 secs), at approximately 90ºC causing a rapid rise in internal water vapour pressure, irreversibly forcing apart the hydrogen bonds within the starch granules. This process causes the grain to become soft and turgid (platisized), swell, fracture and gelatinise. Immediate flaking, using a heavy duty mechanical flaking mill, creates a stretching action in the grain which causes further physical and chemical changes in the starch structure thus completing the gelatinisation process considerably and enhancing the grains digestibility and feed value. The flaked cereals are then cooled and ready for use. Since micronization of grains started in the mid 70’s, the methodology has been continually improved upon and perfected. Considerable sums of money have been invested for these developments both in engineering design and university projects to quantify and improve the value of micronized products. The process is now widely used by the human, animal feed, horse feed, pet food and brewing industries, and micronization is today utilised in over 42 countries throughout the world to add value to natures produce. The cooking period of cereal grains is critical because if the grain is overheated, starch retro gradation occurs rendering the starch to again be less susceptible to enzyme action hence less digestible by the horse. With micronizing there is total control of the cooking process. The controlled temperature and short cooking time involved in the micronizing process ensure that protein, vitamins and amino acids remain intact and are not denatured due to excess heat and/or long cooking time. Micronization converts the starches to sugars and the process greatly enhances palatability and flavour of the grain. The final product has an appealing and attractive appearance, is dust free, with good colour retention of the natural grain. Many vegetable protein sources in the raw state contain toxic enzymes (example soya and linseed) and other anti nutritional factors which obstruct digestion. Micronization is one of the most efficient and economical answers to consistent eradication of these toxic enzymes without loss of lysine or other heat sensitive amino acids. A very agreeable toasted nutty flavour which is very palatable, replaces the stringency associated with some of these grains, whilst maintaining the beneficial high energy oil level in the final product with excellent shelf life as well, due to lipoxygenase inactivation which occurs during the micronizing process. Increased digestibility makes feeding micronized products more efficient and should lead to increased weight gain and reduced total grain intake. Micronized grains have a long and extended shelf life. As high digestibility is directly related to the rate of glucose released (energy) this leads to good efficiency and performance giving optimum starch, protein and amino acid digestibility. The digestibility of barley increases from 32% to 98% with micronization, that of wheat from 28% to 90% and maize from 43% to somewhere around 90%. Some recent work conducted by Dr. Cuddeford (BSc, MSc, PhD Royal Vet School, Edinburgh) and McLean in 1999 and published in recent advances in Equine Nutrition concluded that “Micronized feeds are more readily digested by the horse in the small intestine than extruded and steam flaked grains” and also indicated that “Micronizing barley was even more effective than extrusion in increasing pre-caecal starch digestion”. The following table gives an indication of some of these findings.